Questions and searches about BlackBerry’s first Android device has finally bared fruit; for Malaysians will have the PRIV by next week. This do or die device will be the brand’s pivotal move to see if it can still play the mobile game or close down for good. The QWERTY physical keyboard returns, this time on the brand that has (tried) kept it alive. This symbiotic relationship is close to becoming an old script, with users preferring the regularly used touch-based screens. They’re final market place would be business users that deal with highly classified information: trade secrets, medical related and anything else that falls under the same sun. At one point, even the Secret Service’s most important asset aka President Barack Obama, once used a BlackBerry smartphone. So what’s so appealing about their soon to be released device? 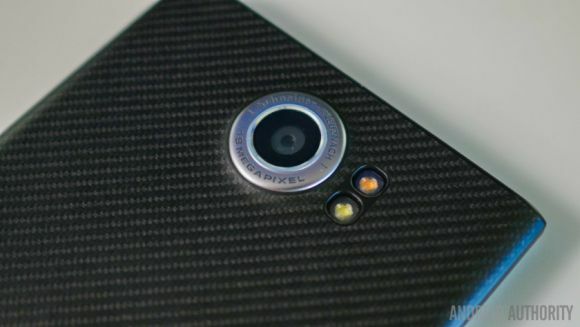 Well for one it’ll boast a 5.4-inch AMOLED display that is capable of QHD (2144 x 1980) resolution. 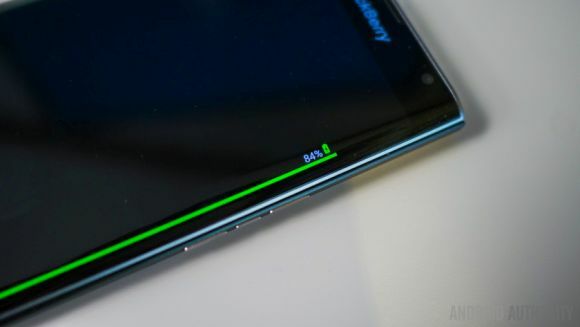 The glass on the device features a tapering dual edged screen, that doubles as a battery level indicator when plugged in (on one side). Multitasking shouldn’t be a hitch on the smartphone that carries 3GB of RAM and 32GB of expandable internal storage. Camera-wise, there are two lenses, as expected: an Schneider-Kreuznach 18-megapixel rear shutter with OIS and dual LEDs, while the front gets a lowly 2-megapixel lens. Packing a punch, the PRIV hides a 3,410 mAh battery underneath its lower half, as Android 5.1.1 Lollipop will work as its brains. Uniquely to the PRIV, their manufacturer has outed some of its apps on the Google Play Store, adding a little signature touch to the whole experience. Those thinking of picking up the PRIV should take a look at how it handles durability, since it has the security aspect on lock down. Users will have to wait for the device to launch first before knowing the pricing but look for it to be roughly RM 2,966 (converted from US pricing) and our neighbours in Singapore have to fork out S$ 1,098 which converts to RM 3,296. 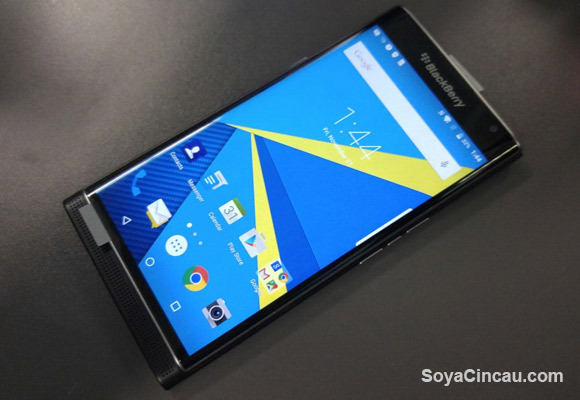 If you haven’t seen it yet, check out our BlackBerry PRIV First Impressions.